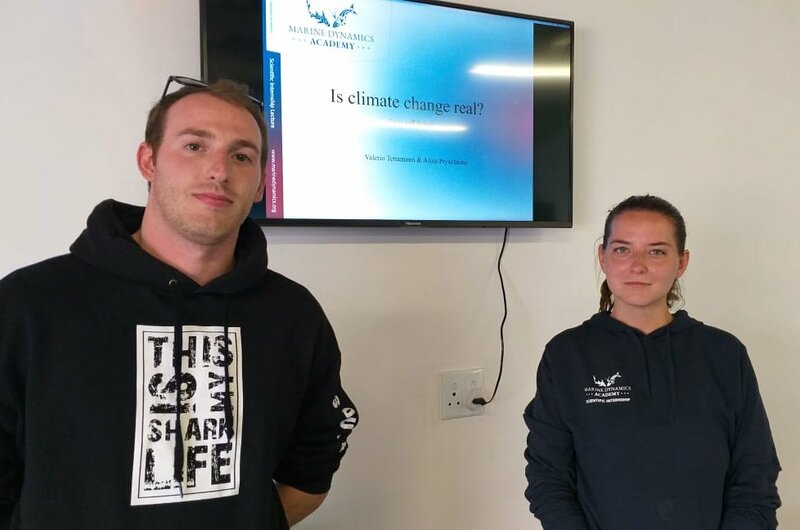 Here at the Academy, we want you to grow as marine scientists, and one of the ways we encourage this is through the discussion and debating of controversial topics. 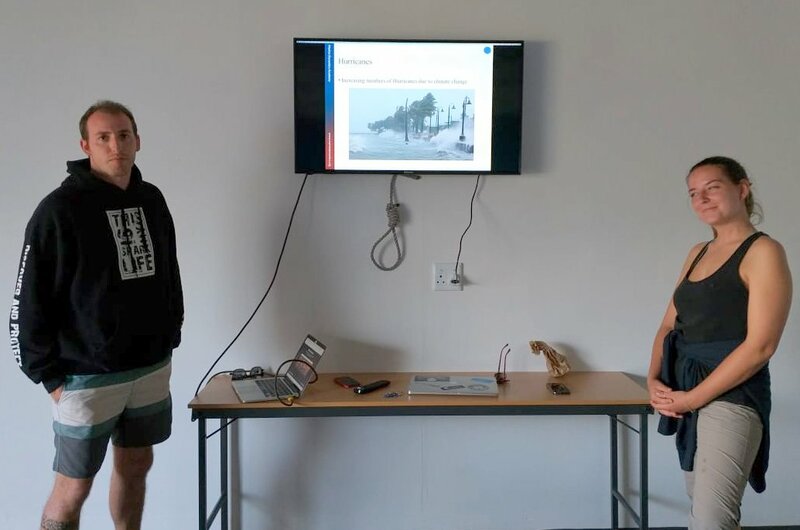 Valerio and Alina were given a brief to convince their audience that climate change is not influenced by human activity. Now there are arguments for and against. Generally, our audiences tend to be conservationists and environmentalists aware of the evidence that backs the argument for human driven climate change. However it is easy to get stuck in this bubble, and to not be exposed to the alternative evidence and arguments. Therefore we feel it is important here to be critical when evaluating any evidence that either supports or goes against your narrative, and is therefore an important skill to hone as a scientist. Alina and Valerio have provided an overview of what they discussed to support the argument that climate change is not human driven. Is anthropogenic climate change real? This has been a debatable question for many years, but how accurate are these claims? Is there enough evidence to prove that climate change is truly man-made? First, we need to understand what anthropogenic climate change is. Typically, it is termed as a change in global climate patterns usually largely attributed by the increase of atmospheric carbon dioxide produced by the use of fossil fuel. The climate change arguments usually focus on the following: global temperature rise, CO2, shrinking ice sheets and the increase in amount of hurricanes. Allegedly, the global temperature has risen by 0.5 degrees Celsius since the late 19th century, resulting in Ice sheets in Greenland and Antarctica showing severe declines in coverage. The reason behind this is that the measurements taken 150 years ago and measurements that are taken nowadays are of different quality and accuracy, therefore there can be dissimilarities. A century ago the way temperature data were collected lack consistency and can be variable. Another question is whether this temperature change, if it has happened, actually caused by human related activities. Or is it just a natural cycle of our planet. If we look at the graph showing temperature change in the last 20,000 years over Greenland (Temp change referenced in Fahrenheit), we observe a pronounced rise in temperature with time. * Image from – Richard B. Alley, The Two-Mile Time Machine: Ice Cores, Abrupt Climate Change, and our Future, Princeton U. Press, Princeton, 2002. Yet if we scale this up to a time period that spans millions of years averaged across global temperature we begin to observe a greater amount of temperature variation. So are we the cause of melting ice sheets? We argue here that these large scale global processes must be considered in the context of phenomena of days gone by, or in our case millennia gone by. When looking at the issue of melting ice sheets, arguably the volume of ice depends on the glacial-interglacials cycles. During the last interglacial period, ~125,000 years ago, sea level was at least several meters higher than at present, with substantial variability observed for peak sea level at geographically diverse sites. Dutton and Lambeck (2012), suggested that sea level was possibly as much as 10 meters above current levels. Such a large excess of seawater would mean that the Greenland and Antarctic ice sheets melted much more than previously assumed. Finally, are we responsible for an increase in natural disasters such as hurricanes? 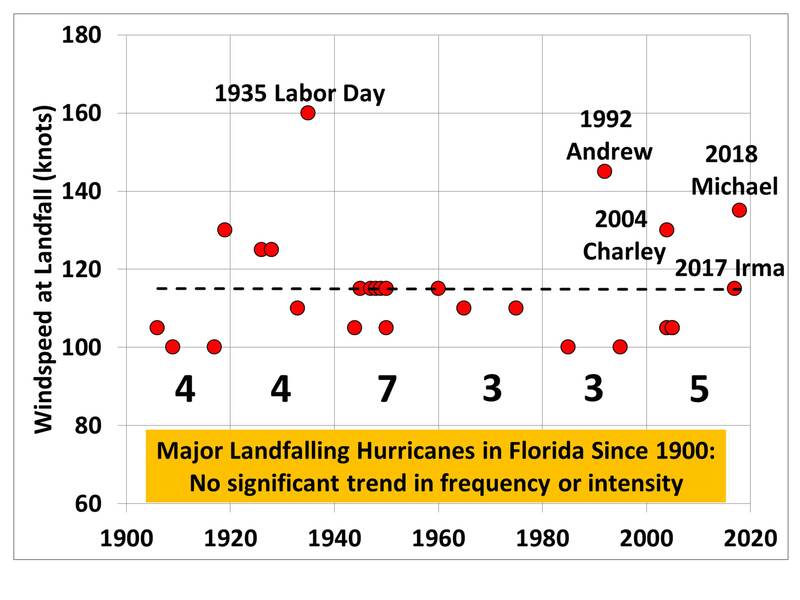 Several studies link the relative increase in hurricane frequency and intensity with human driven climate change. This link can potnetially be bias as a result of several fators. One of those being greater reporting and instruments to detect hurricanes around the world. Presently coverage of major hurricanes and tropical storms are well documented. Yet 50-100 years ago, event may have been undocumented due to a countries technological or logistical constraints. Furthermore, another statistic that is highly cited, is that there is an increase in loss of human life as a result of these storms. Now while the loss of life my be tragic, it may be unwarranted to highlight a clear increase in the number of human casualties. The answer here may in fact be more closely associated with both the increase in human population, and the coastal migration of this population toward prosperous and ever expanding mega-cities. We have tried to balance the argument here surrounding anthropogenic climate change. Here we have provided evidence that may counter popular environmentalist beliefs or narratives. For us this exercise was important to demonstrate that climate change is not clear cut, and that to effectively convey evidence to an audience of conservationists, requires clear and concise communication, in order to present alternative theories around a controversial topic. While humans are undoubtedly having an impact around the world on varying levels, it is important to contextualise those effects, and investigate the degrees of human impact case by case.